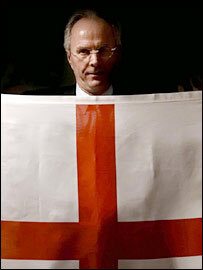 This will be the first time the England squad has come together since the fake sheikh episode and Sven-Goran Eriksson's decision to stand down. But in football you don't talk about what happened six weeks ago. The England players are professional and they will get on with the job in hand. What has happened with Eriksson will not even be mentioned - it won't matter in the slightest. There are only three warm-up games before the World Cup finals start. What the manager and his team will be looking for this week is to make the most of this opportunity to be away for four or five days. Eriksson will try to get as many of his starting line-up for the Paraguay game on 10 June in the team from the start and then have a look at the guys on the periphery. It's a wonderful opportunity for those fringe players to impress and get on the flight to Germany. I would imagine 20 or 21 of his squad are definites. There are possibly only two spots up for grabs - a central midfielder and a striker. But we've seen time and time again that players can explode onto the scene in the last few months of the season and book their place. Eriksson will look at his fringe players in training this week but not take too much heed. Anyone can impress on the training ground, it's what you do when you go on the pitch that counts. The major problem for these players is when you have multiple substitutes coming on, then it all gets very fragmented. It's much easier for a player to come on for 45 minutes in a settled side that's playing well rather than impressing in a team that has just had nine subs, because they are all over the place. This has been a problem for some time. Whenever Eriksson has had seven, eight or nine substitutes, I don't think we've seen a good performance from anybody. It's a tremendous opportunity but it's so difficult for these players. 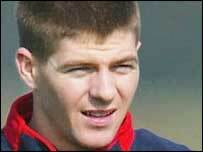 I can understand Liverpool manager Rafael Benitez asking for Steven Gerrard to be left out. From their point of view he is right. Gerrard has played a lot of games and he plays with so much energy, vigour and enthusiasm that a rest would do him the world of good. Liverpool have so many important games coming up in the Champions League and FA Cup while also going for second place in the league. But from an England point of view Eriksson will look to play him for 45 minutes. If you can get your best midfield quartet on the pitch it is invaluable for preparation and for getting used to how the others play. The England manager has to be single-minded, while also making sure Gerrard is not going to the World Cup burned out. It is a danger for a lot of the players and we have seen it before when they've gone to the World Cup and a lot of them are tired. One player who I expected to be in the squad is Bolton's Kevin Nolan. He's got two great feet, he's strong, aggressive, scores goals and he's the type that could muscle his way in. Bolton are still in the FA Cup and could push for a Champions League place. They are difficult to beat and Nolan has had a fantastic season and has been one of their best players. I'm very surprised he's not been given a chance.